Trooper Taylor Thyfault was struck and killed by a vehicle that was fleeing from other officers. Trooper Thyfault was riding along with a trooper as part of his required training and was at the scene of an unrelated vehicle crash on Colorado Highway 66, near Weld County Road 1. As they conducted their accident investigation, a vehicle pursuit approached their location. The trooper and Trooper Thyfault were deploying stop sticks when the offender swerved struck both of them with his vehicle. Trooper Thyfault was killed and the trooper was critically injured. The driver of the vehicle was apprehended near the scene, convicted and sentenced to life plus 342 years in prison. 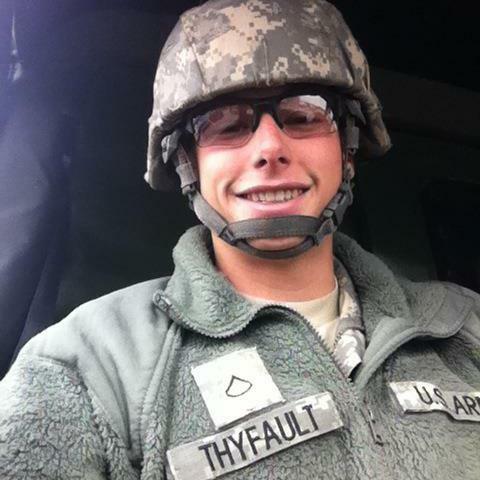 Trooper Thyfault was a U.S. Army veteran and had served with the Colorado State Patrol for several weeks. 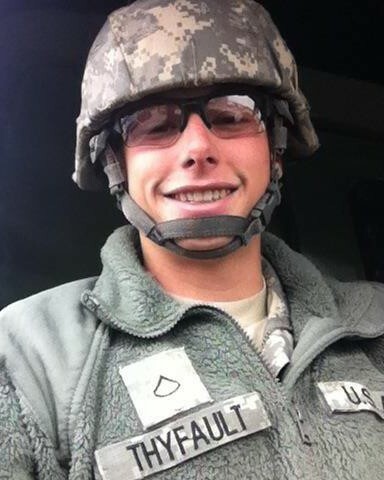 He was posthumously promoted to the rank of Trooper from the rank of Cadet.